Today offered yet another opportunity to go out and enjoy the beautiful weather whilst burning off a few calories. 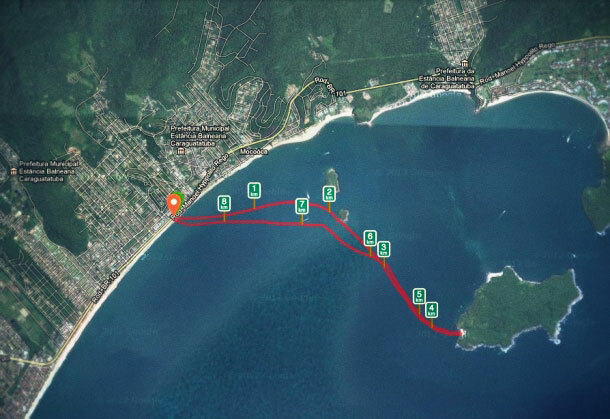 I took my SUP board down to the beach at Massaguaçu and decided I would paddle to a new beach on Ilha do Tamandua. I felt pretty pleased with myself after clocking up about 8 or 9km over about 2 hours of paddling. There was one other guy out in the bay this morning but apart from that, all I saw en-route were a bunch of jelly fish gliding along and a sea turtle that swooped underneath me whilst I was paddling along.